Plympton Street outside of Quincy House. 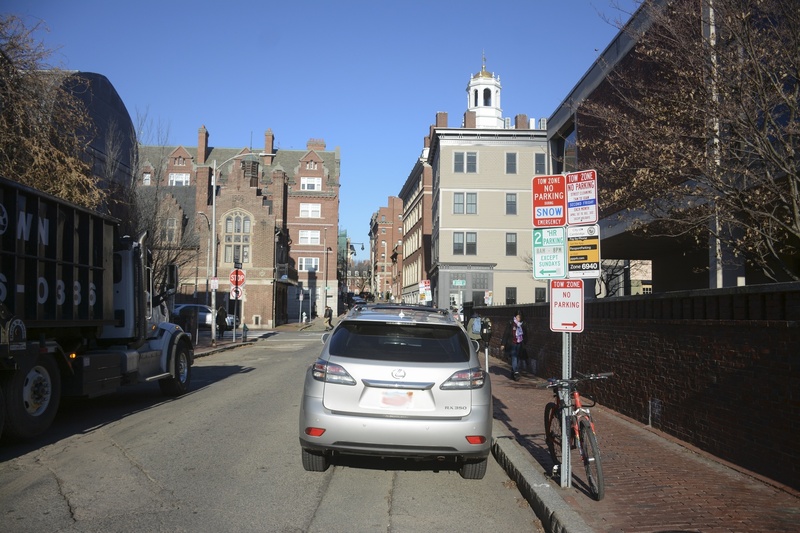 The Harvard University Police Department is investigating a female undergraduate's report that she was “indecently assaulted” while walking on Plympton Street early Tuesday morning, HUPD spokesperson Steven G. Catalano wrote in an email to Harvard affiliates Tuesday. The incident occurred near Quincy House at around 12:45 a.m. Tuesday, and HUPD is investigating the incident as indecent assault and battery, according to Catalano. The woman reported that two men approached her and called out to her. One of the men then grabbed her, threw her against a wall, and kissed her and fondled her chest, she reported. The woman then screamed and fled, per Catalano’s Tuesday afternoon email. The student was unable to provide a detailed description of the two individuals involved in the incident.